The Furniture Classics 40-41 Bevan Server is available in Hickory Park's, North Carolina Furniture Galleries. Hickory Park may be restricted from showing prices, however please select the Click For Quote button and Hickory Park Sales and Design Staff will reply or please call (828) 322-4440 for more information. 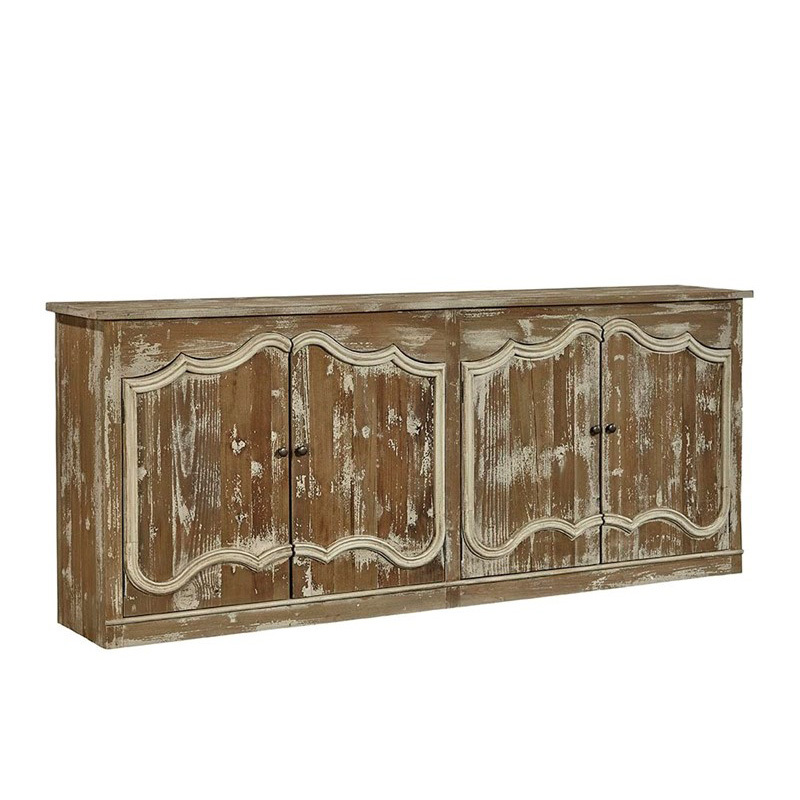 Grandly scaled and beautifully detailed, this unique sideboard features scalloped doors which are inset into the recycled pine frame Soft white paint highlights the curved moldings on the doors, which open to reveal a removable shelf inside each spacious cavity. Click here to receive price quote for Server 40-41 item.